The find a shop page includes predefined services available in each of the businesses listed. The Experts are committed to identifying valuable services that shops and other organisations provide and helping consumers to find those shops. The Cycling Experts website is owned and operated by The Association of Cycle Traders (ACT), the UK's largest trade bicycle association committed to the future of specialist cycle retail. 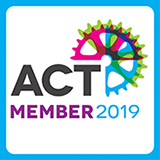 ACT retail members have invested in business, skills, promotion and the development of the UK cycle market. All have met the criteria for ACT membership status. For cycle trade information and services visit the ACT website: cycleassociation.uk. Platinum is the premium tier of ACT membership, indicating a high level of investment by the retailer in services and skills, helping to ensure that the best quality service is consistently achieved. Bike café's are a great place to meet other riders and get advice and repairs while you tuck into coffee (and of course cake). Cycle hire is one of the best ways to explore some of the UK's most beautiful places without transporting your own bike everywhere. Ride at your own pace whilst enjoying the freedom and sense of achievement that cycling can offer. Shops and cycle hire centres in our find a shop search offer a range of different cycle hire options, plus a wealth of advice and guidance on how to enjoy your day out and the cycling experience. The Experts community is committed to promoting and assisting skills development and recruitment, after all, our people are critical to the continuity of the specialist retail community. If you are an employer you can advertise your vacancies, find out more here. The Cycle to Work Scheme is a Government initiative, created to get more people riding bicycles to work. Helping the environment, improving health and wellbeing and saving money in the process. The Cycle to Work Scheme offers employees the opportunity to hire a bicycle and necessary safety equipment from their employer, achieving significant savings off of the usual purchase price. Cytech is the internationally recognised training and accreditation scheme for bicycle technicians. Owned and run by the industry for the industry. Cycle shops displaying the Cytech Accredited symbol employ at least one technician with a Cytech technical two qualification or higher and are current full ACT Members. Cytech qualified staff have undergone professional technical training and accreditation to recognised industry standards, achieving a number of practical and theory tests before qualification. Cytech training is available for cycle shop employees and members of the public at Cytech training centres. Only organisations authorised by the Association of Cycle Traders (ACT) are able to offer Cytech training courses. You can find all current Cytech training providers on the Cytech website. Demo bikes - or demonstration bikes - are a great way to find out if the bike of your dreams is really the right one for you. Cycle shops offering demo bikes give you an opportunity to hire a range of bikes - usually at the higher end of the range - for a limited period in order to put them through their paces. Hiring a demo bike is a great way to try out different bikes for size, riding position and general all round match with what you are looking for. This is another value-added benefit of using a specialist cycle retailer. Most shops will refund all or part of any demo bike hire fee when you by the bike. Find a shop that sells electric bikes. An electric bike, also known as an e-bike, is a bicycle with an integrated electric motor which can be used to give the rider a helping hand to tackle hills, or simply make the ride easier and more enjoyable. Female Friendly Bike Shops are recognised by the ACT and British Cycling's Breeze Network as shops who offer a female friendly environment to women through the range of products available and the in store service that women receive. Your local female friendly shop can help find you a suitable bike for your needs and also advise you on how to get cycling, including joining a local Breeze Network women only bike ride. Click here to find out more about Cycling for Women. All businesses that are listed as a female friendly bike shop have been contacted by the Breeze Network to ensure criteria is met. The Breeze Network do their best to regulate the quality but neither the ACT or Breeze can be held responsible if female friendliness is not achieved. If you encounter a shop that doesn't meet your standards as a female shopper please contact us. Bike shops participating in Local Bike Shop Day 2019 on the 4th of May. Check each shops listing for details of events or promotions they will be running on the day. Ride it away cycle finance is a great way to purchase the bicycle and accessories of your choice by spreading the cost. Ride it away retailers form a national network of specialist cycle retailers who stock a wide range of bicycle brands and accessories with the facility for you to purchase using retail finance. You can find out more information here or visit the Ride it away website.